Reflection, ricochet and reverberation - it’s these three words that summurise the character of Chihei Hatakeyama’s new edition Mirror. 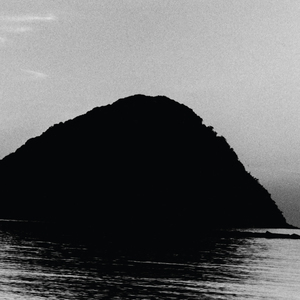 Drawing deeply on the earliest recorded period of Japan’s history, the Kofun era, Hatakeyama’s Mirror meditates on the importance placed on reflection during this age. The mirror was a source of great inspiration, not only as a metaphor for the sun, but also for its ability to shift and reflect light from one location to another. This act of transplanting light considered almost magical by many during that time. Similarly this idea of reflection spurred Hatakeyama to undertake a new recording method. Taking layers of composed instrumental passages and then re-recording them in a variety of reverberant spaces, Hatakeyama sought to accentuate and amplify the harmonic qualities of the sounds. Overtones were shaped by these spaces and rich fluctuations emerged from the original recorded elements. This process of re-recording leading to the rich tonal qualities heard in Mirror. Spaced out with a series of intimate field recordings, marking the points of arrival and departure between the composed pieces, Mirror is an elegant second chapter in Hatakeyama’s ongoing textural songbook for Room40.